I’m also glad for Rylie’s aunt because it means we have a woman who isn’t terribad awful. Yes, like the last book, Rylie continues to have major issues with other women. She starts a new school and a nice girl tries to be friendly – and Rylie turns to boiling acid of loathing. We also have Seth and Adam’s mother who looked at Rylie’s mother and declares “you think YOU’RE the worst mother in the world? Oh no, I’m going for gold!” Even Disney would think this was a terrible depiction of motherhood (Seth and Adam, like Rylie, have a conveniently dead and fondly remembered father). There’s also a teacher who singles out Rylie as a trouble maker after very little and is then watching her with deeply negative eyes. Naturally, Rylie does make friends… with a guy. Seth and Abel are both POC and some of the most major characters on this book (the most major after Rylie). Neither are stereotyped but nor are there a great deal of indicators of race in their storylines. There could be some attempt to explain this as trauma from the meangirls at camp – but people, were eaten by WEREWOLVES and mean girls are the trauma? And even then the whole ridiculous caricature of the mean girls was a problem to begin with – to say nothing of the fact that Rylie loathed all things female even before the whole summer camp thing. 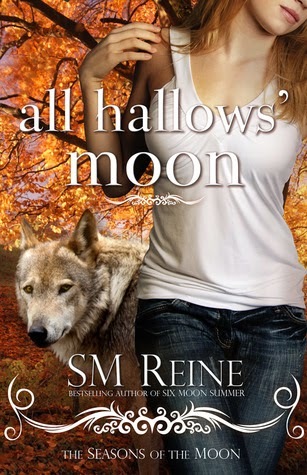 Again, I won’t say the plot is particularly complicated or original: it’s classic star crossed lovers with a dash of werewolves and Rylie having a rather more violent than most coming of age story. But it’s an excellent story in which both Rylie and Seth can grow. The focus is on them, what they go through, what they learn, the decisions they make when confronted with their situation. I think that this points to SM Reine having really planned her many many series and recognised what an integral figure Rylie would become – so we have her growth here, a series that follows her journey into becoming the force she will one day be. That’s a pretty awesome use for a series, and it is done well through that lens. The story is good, but not overly complicated and cluttered. While there is an introduction to some of the wider world elements like the kopides, it isn’t too much or addressed in any great detail. So, in terms of a book I enjoyed or even a series, it doesn’t rate very highly. But as part of the overall world that these series are set in, I think it is a very useful book that does a lot to develop one of the integral characters within it.